Khabib Nurmagomedov has threatened to quit UFC in a stunning outburst aimed directly at the sport’s governing body. 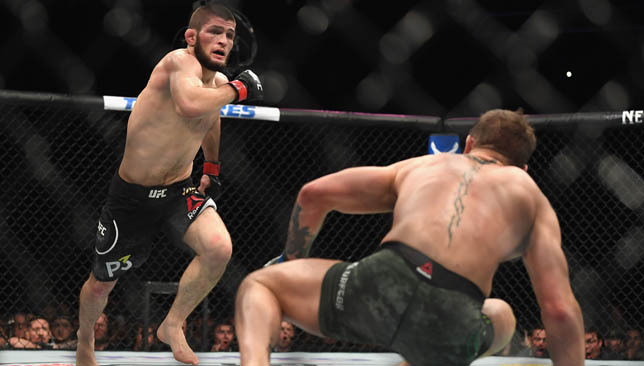 Nurmagomedov retained his UFC lightweight belt on Saturday by forcing a fourth-round submission by challenger Conor McGregor. But the undefeated Russian marred his convincing victory by jumping out of the cage immediately afterwards to confront McGregor’s support team and spark a mass brawl. The Nevada State Athletic Commission has withheld Nurmagomedov’s two million dollar fight purse during its investigation. UFC president Dana White has hinted at banning Nurmagomedov’s team-mate, fellow Russian and UFC fighter Zubaira Tukhugov, for his part in the incident. “Why do you have to punish my team, when both teams fought,” Nurmagomedov said in a statement posted on his Instagram account. “If you say that I started it, then I do not agree, I finished what he had started. “In any case, punish me, @zubairatukhugov has nothing to do with that. If you think that I’ll keep silent then you are mistaken. You cancelled Zubaira’s fight and you want to dismiss him just because he hit Conor. “But don’t forget that it was Conor who had hit my another Brother FIRST, just check the video. “If you decide to fire him, you should know that you’ll lose me too. We never give up on our brothers in Russia and I will go to the end for my Brother. “If you still decide to fire him, don’t forget to send me my broken contract, otherwise I’ll break it myself. McGregor, meanwhile, has been suspended for one month on medical grounds after tapping out to Nurmagomedov due to a rear-naked choke. Nurmagomedov said his actions immediately after his win were a result of McGregor’s provocation in the build-up to the fight, which included smashing the window of the Russian’s team bus, which injured several people. In his Instagram statement, Nurmagomedov added: “Why didn’t you fire anyone when their team attacked the bus and injured a couple of people? Daniel Cormier will make the first defence of his UFC heavyweight title against Derrick Lewis on November 3 at Madison Square Garden. Light-heavyweight champion Cormier defeated Stipe Miocic in July to add the heavyweight crown to his collection. 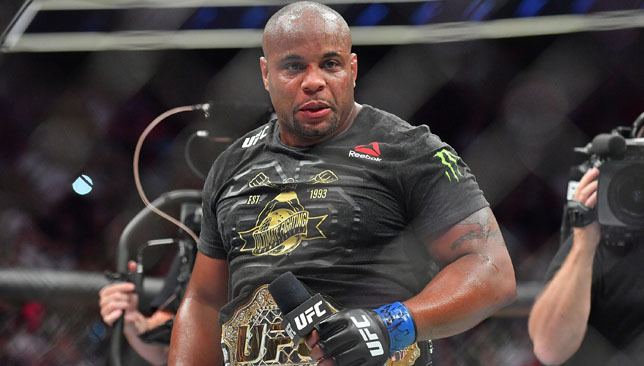 Cormier was expected to tackle Brock Lesnar next but has instead been matched with Lewis at UFC 230 in New York. Lewis produced a stunning knockout of Alexander Volkov at UFC 229 at the weekend, stopping his Russian opponent within the final 20 seconds while almost certainly trailing on the scorecards.